Volkswagen, one of the world’s 10 leading manufacturers of electric vehicles, is attracted by the characteristics of the Rwandan market where fuel is very expensive. The German car brand wants to participate in the deployment of electric-powered mobility in Rwanda. 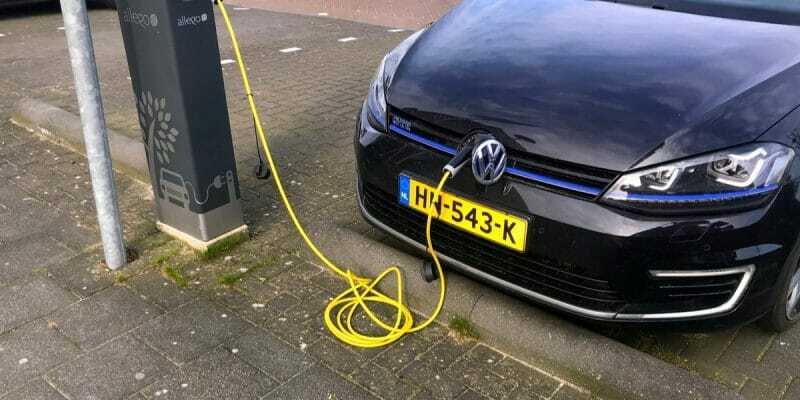 Without giving any further details on the date, Thomas Schaefer, President and CEO of Volkswagen South Africa (VWSA), announced the introduction of electric vehicles on the Rwandan market. The German car manufacturer plans to make a breakthrough in Africa, starting from Rwanda. This East African country ticks many more boxes in favour of the emergence of electric mobility than South Africa, where such is already present. According to Andrew Kirby, President and CEO of Toyota South Africa Motors, only 66 electric vehicles were sold last year, compared to 117 in 2015 of 117 (a record). Andrew Kirby explains this weakness in the sale of electric vehicles in South Africa by the dissuasive cost of vehicles and the lack of specific government support for the promotion of electric vehicles. Unlike a country like Rwanda, on which Volkswagen has set its sights on. The president and CEO of VWSA argues that Rwandans are mentally ready to switch to electric vehicles. “In our discussions with the Rwandan authorities in 2018, they stated that their objective was environmental protection, sustainable development and… electric car transport,” he said. The choice of electric mobility could thus prove to be faster in Rwanda, where fuel is expensive, as it is imported from the Middle East via Dar es Salaam in Tanzania, over a stretch of nearly 3000 kilometres, before reaching Kigali. In addition to this difficulty, concerning the refuelling of petrol vehicles, another element could reinforce the shift from conventional to electric vehicles, whose carbon footprint is reduced when recharging is ensured by electricity from renewable sources. Rwanda already produces 70% of its electricity from renewable energy. According to the government, this share of renewable energy in the electricity mix will increase to 100% over the next ten years. The French Environment and Energy Management Agency (Ademe), in a report published in 2016, specified that, for an electric car to be considered truly ecological, it must be recharged with electricity from renewable energy (wind, sun, hydro and biomass).